As part of the Congress programme, a number of activities, including site visits and training courses, are organised to enrich the participants’ experience on Friday 14th June 2019. Tickets for the excursions and training courses are not included in the Congress Pass, but they can be purchased separately through the online registration. Registration costs include lunch and transport. An overview of the activities is available below. Registration: 55 eur / person VAT Incl. This excursion will visit two geothermal heat plants for greenhouses’ uses. 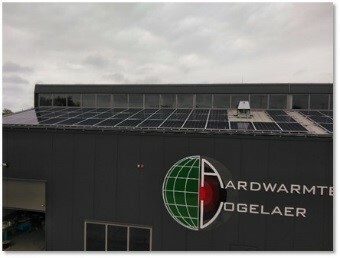 Aardwarmte Vogelaer is a consortium of seven Dutch greenhouse operators in the Westland region. In a depth of 2,400 meters, a thermal water aquifer in sandstone with temperatures up to 90 °C was tapped and is now utilized with injection and production wells. Koppert-cress is a greenhouse company in Monster. For their climate control they rely on a high temperature aquifer thermal energy storage (ATES) system. Koppert-Cress is one of the 2 permit holders in the Netherlands allowed to store heat at higher temperature than the legal maximum of 25°C as a pilot. This field trip will focus on several aspects of geothermal exploration and production such as geology, possible modern day analogues, heat and hydrocarbon co-production, technology, interference with hydrocarbons, spatial planning, and applications. 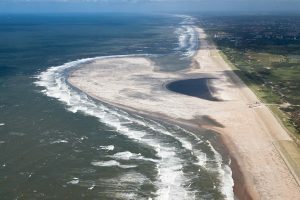 After a history of extensive oil and gas exploration and production, the West Netherlands Basin is currently the most prolific geothermal province in the Netherlands. 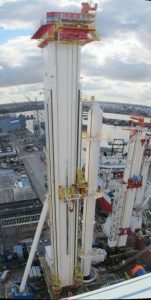 The Huisman Innovation Tower (HIT) is a 96m high test drill tower, capable of handling 55 m (180 ft) stands and 46 m (150 ft) riser and with the ability to simulate dynamical vessel movements. 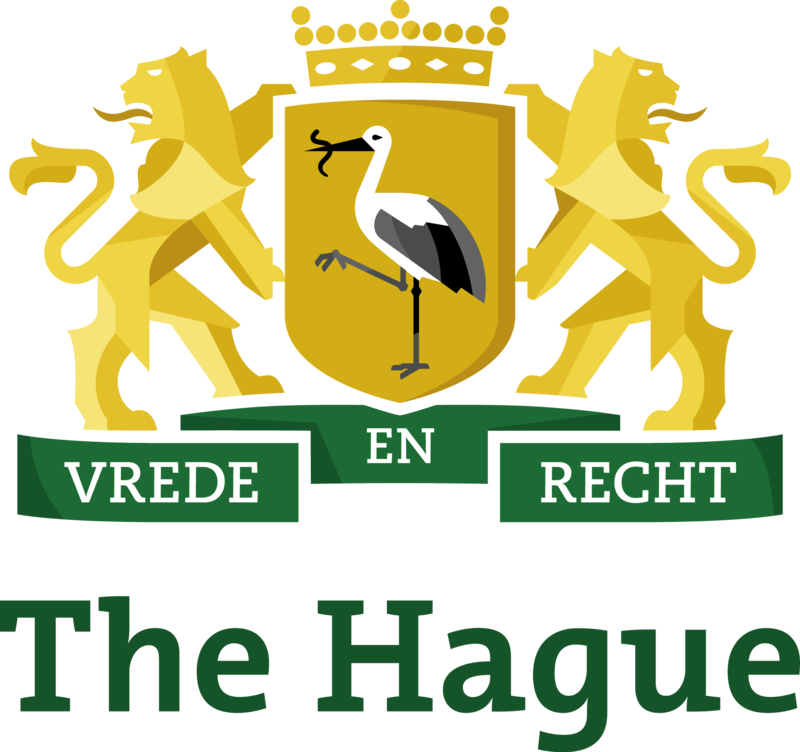 The HIT is located at the Huisman Schiedam quayside and is used, among others, for demonstration and testing purposes. The rig can be used to drill Ultra Deep Geothermal wells up to 10km deep. Huisman Geo is building on the extensive experience in designing and building equipment for the Offshore Drilling market, Huisman also designs and delivers equipment for drilling geothermal wells. Registration (standard): 160 eur / person VAT Incl. Registration (student): 90 eur / person VAT Incl. GeoTrainet is the organisation behind the European wide training and certification programme for shallow geothermal installers, specifically designers (those who carry out feasibility and design studies, including geology) and drillers (who make the boreholes and insert the tubes). The course will offer updates on standards (CEN, VDI 4640-2), regulations, and the market development, and give an overview of the latest technical developments in drilling/BHE, heat pumps, materials, and large-scale installations. The course is paired with an excursion to a shallow geothermal site. Participants will receive a certification. This geothermal project is located in the South-Western part of The Hague and is unique because of its location and its project history. It started with a study in 2005, concluding the presence of a water holding sandstone layer in the subsurface at 2 km depth. After several verifications from research institutes a new geothermal project was launched in 2008. A partnership between The City of The Hague, 3 housing corporations, Eneco and E-On Benelux (now Uniper) initiated the geothermal project. At first the project was supposed to deliver geothermal heat to 4000 new residential buildings. In 2010 the wells were drilled. Due to a depth crisis (2008-2011)lots of housing projects were not delivered. In 2013 the project officially went bankrupt. A re-launch was made in 2016 by the partnership ‘Haagse Aardwarmte Leyweg’. In 2018 the wells were cleaned and tested and now the permit is in procedure. What is the future for collective heating solutions in cities? What can we learn from this project in a technical sense and in from its business case?